Juniper Networks will stop using a piece of security code that analysts believe the National Security Agency uses to eavesdrop through technology products. The strategic collaboration earlier this year between Veeam and with Cisco to bring to market best of breed backup technology solutions, is being well received in South Africa. Veeam and Cisco's joint technology offering is delivering availability to enterprise customers and service providers in South Africa who want to build a solution on high-performance hardware. Using Cisco Unified Computing System (UCS) servers as building blocks paired with the Veeam Availability solution, the new backup and replication solutions are purpose-built for efficient backup and high-speed recovery. The easy-to-deploy solution simplifies the solution design, sizing, configuration and purchase process, resulting in less pre-testing, reconfiguration, and management issues. Data Centre specialist for Cisco in South Africa Natius van der Watt says the strategic collaboration between Cisco and Veeam is being well received in South African enterprises, particularly amongst financial services, telecoms, retail and public sector customers. "We're seeing strong interest from mid-sized business too," he says. "The scalability and replication and backup features are delivering cost-efficient failover not previously achievable for this market segment. These customers tell us they do not have the massive infrastructure of major enterprises and that solutions specifically for failover are typically aimed at large enterprise and require a significant investment. For the mid-size market, the Cisco-Veeam solution is unique in terms of its features, cost and scalability." 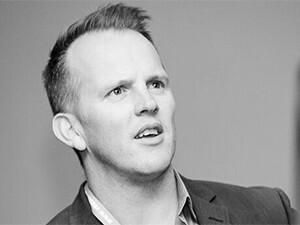 Warren Olivier, Veeam Regional Manager for Southern Africa, says the Cisco-Veeam strategic collaboration, announced earlier this year, is in line with Veeam's strategy to align itself with market leading vendors to ensure customers get the best technology solutions on the market." "The Cisco alliance is part of our 'one plus one equals three'/ better together approach," he continued. "Cisco UCS and Veeam software are market leaders, so our strategic collaboration brings to market best of breed hardware and software. From our perspective, we are seeing a good response among Cisco-focused channel partners and our customer base to this best of breed software and hardware combination." The backup and replication appliances are now available worldwide through Cisco Commerce Workspace Price & Build. For more information on the combination of Veeam Availability Suite and Cisco UCS, visit http://www.veeam.com/veeam-cisco-ucs.html.